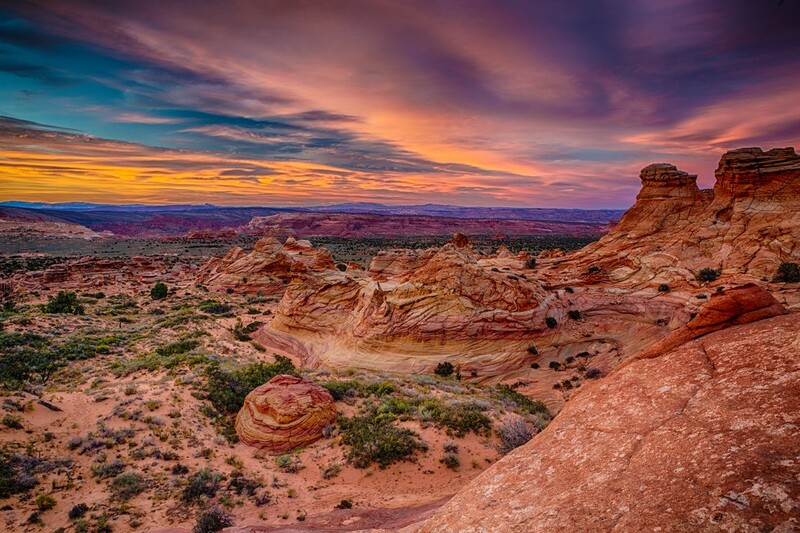 The landscape of the South Coyote Buttes is covered with sandstone buttes of all sizes! Everywhere you look there are these piles of sandstone! It was a mad dash to try and capture as many of these buttes under the orange and pink skies of an Arizona sunset!